Take your ballet flat game to the next level with the Born Glam. 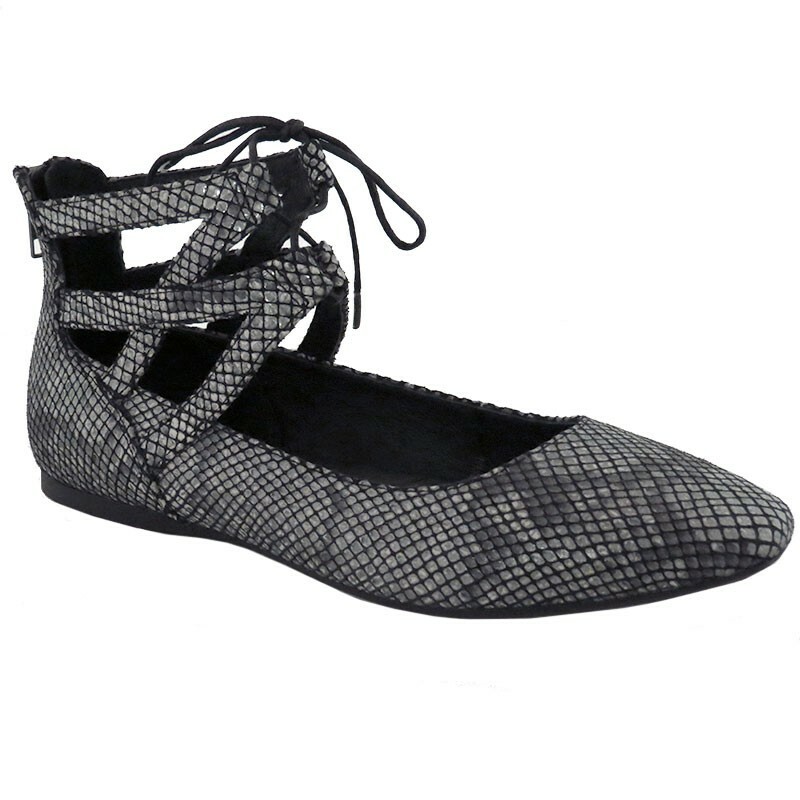 This women's shoe features a metallic snake-print leather upper adds glitz to your look, and the geometric cutouts and lace-up design deliver a unique yet wearable look. The back zip entry allows for easy on/off. Inside, the vegetable leather lining and cushioned footbed create a healthy and comfortable environment for your feet, while the tucker board shank inside provides midfoot support and lateral stability. You'll be able to feel the quality of the Opanka Hand-Crafted construction as soon as you slip into these flats, so add a luxe statement to your wardrobe with the Born Glam.